U.S. stocks set more records in quiet post-holiday trading Friday as technology companies again did much of the heavy lifting. 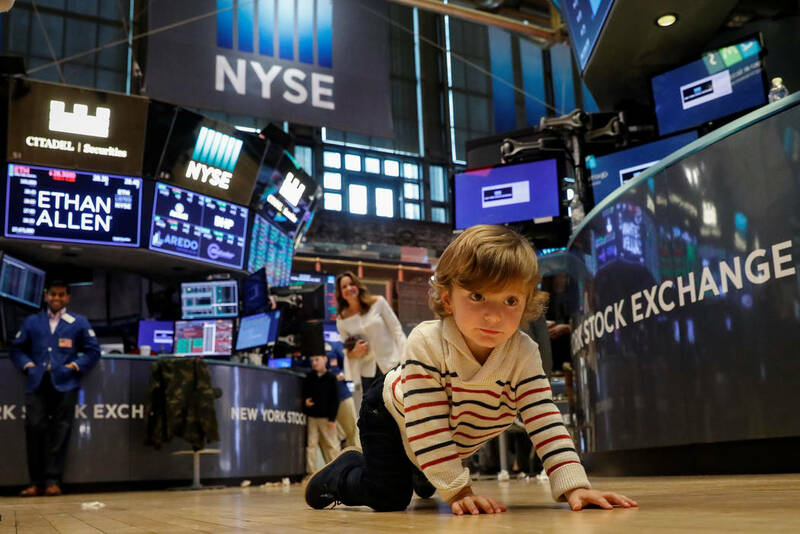 NEW YORK — U.S. stocks set more records in quiet post-holiday trading Friday as technology companies again did much of the heavy lifting. Energy companies rose with the price of oil. Macy’s and some of its retail counterparts rose after the department store’s CEO said Black Friday sales were going well. Online titan Amazon made an even bigger gain. Oil prices and energy companies rose after Bloomberg reported that a group of key oil producers plans to extend production cuts until the end of 2018. The Standard & Poor’s 500 index rose 5.34 points, or 0.2 percent, to 2,602.42. The Dow Jones industrial average added 31.81 points, or 0.1 percent, to 23,557.99. The Nasdaq composite gained 21.80 points, or 0.3 percent, to 6,889.16. The Russell 2000 index of smaller companies climbed 2.40 points, or 0.2 percent, to 1,519.16. The Dow finished slightly below its record high from Tuesday but the other major indexes closed at all-time highs. Trading ended early after the Thanksgiving holiday on Thursday. Macy’s CEO Jeffrey Gennette told CNBC holiday shopping is off to a good start with relatively few discounts and strong sales of some especially profitable products like winter clothing. Macy’s gained 44 cents, or 2.1 percent, to $21.07 and other department stores climbed as well. Experts are mostly predicting strong sales over the holiday shopping period because of increased consumer confidence and a very low unemployment rate. The National Retail Federation trade group expects sales to grow at least as fast as they did last year. Big retailers like Wal-Mart and Urban Outfitters and Gap have also reported strong quarterly results recently. On Friday, Gap added 47 cents, or 1.6 percent, to $29.64 and electronics retailer Best Buy gained 51 cents to $57. Amazon’s stock rose $29.84, or 2.6 percent, to $1,186. Amazon, along with tech giants Apple, Facebook, Microsoft and Google’s parent company Alphabet, have played a huge role in the market’s gains this year. Those five companies combined are responsible for more than one-fourth of the value the S&P 500 has gained this year. Amazon and Facebook closed all-time highs Friday and the other three set record highs earlier this month. U.S. benchmark crude rose 93 cents, or 1.6 percent, to $58.95 a barrel in New York. Brent crude, used to price international oils, added 31 cents to $63.86 a barrel in London. Billionaire investor Carl Icahn disclosed that he’s acquired a 13.5 percent stake in SandRidge Energy. A week ago SandRidge agreed to buy oil and gas company Bonanza Creek Energy, and Icahn said he’s opposed to the $736 million deal. Another major SandRidge investor, Fir Tree Partners, is also against the deal. SandRidge jumped $1.40, or 8 percent, to $18.90 while Bonanza tumbled $3.76, or 11.7 percent, to $28.38. Boyd Gaming gained 15 cents, nearly 0.50 percent at $30.38. Caesars Entertainment added 25 cents, or 1.9 percent to close at $13.40. The company’s main operating unit recently emerged from bankruptcy. Golden Entertainment gained $1.70, or 5.33 percent, to close at $33.61. Shares are up about 177 percent since the first of the year. International Game Technology gained 13 cents, or 0.46 percent, to close at $28.10. Las Vegas Sands dipped 5 cents, about 0.70 percent, to close at $67.65. MGM Resorts International gained 44 cents, or 1.32 percent, to close at $33.89. Shares have recovered after initially dipping in the wake of the Oct. 1 shooting. Red Rock Resorts, parent of Station Casinos LLC, tacked on 18 cents, or 0.63 percent, to close at $28.85. Scientific Games lost 30 cents, or 0.58 prcent, to close at $51.70. Shares are up about 270 percent for the year. Southwest Gas Corp. fell 56 cents, or 0.68 percent, to $81.70. The dividend yield for the Las Vegas-based company is 2.42 percent, according to Google finance. Switch dropped 8 cents, or 0.45 percent, to close at $17.87. The company went public Oct. 6 at $17 a share. Wynn Resorts Ltd. gained 73 cents, or 0.46 percent to close at $159.42. Shares are up 84 percent this year.